A little over 500 years ago King Henry VIII’s advisor, Sir Thomas More, published a short book called ‘Utopia’. Some scholars think he intended it to be a satire, debunking the notion of a world without absolute monarchy and a politically powerful church, others suggest it was More’s vision of where new ideas were taking Tudor England. Either way, Utopia began a literary tradition that’s still with us today, especially in the form of science fiction. It wasn’t just a landmark moment in fiction, it also influenced generations of philosophers, and shaped the intellectual foundations of democracy and socialism during the 18th century ‘enlightenment’. It’s not unusual for people to assume the word ‘utopia’ expresses works of pure fantasy, but that’s not the case. Utopias are always rooted in the real world, in much the same way design thinking methodologies incorporate customer journey mapping, design research, and user behavior studies. 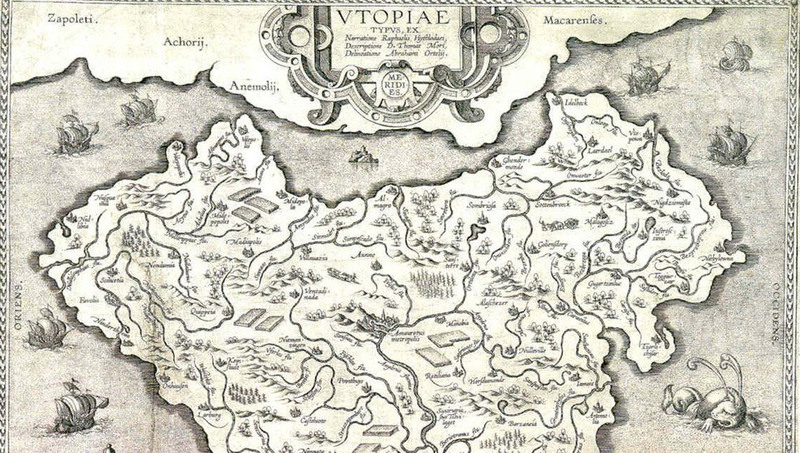 Unlike popular medieval folk stories and fairytales, Utopia was realistic, a world with a detailed set of rules that governed the lives of the people who lived there. To use a gamer analogy, More was playing Sim City, not Pokémon. Utopian worlds accommodate human needs and behaviors, like a UX designer does, within a new set of processes. It’s a kind of problem solving exercise. Where fairytales ignore the mechanics of real life, utopias embrace them. Take Terminator, for example, which is a classic example of utopian realism. If Terminator was a fairytale, the evil robots could have been created by magic, but that wouldn’t work in a utopia. Terminator’s utopian credentials come from the premise that real people used real tech (computers) to create AI, intending to solve real world problems (national security). That realism is twisted into a dystopia (a negative future world) by a realistic risk, that if an intelligent military AI controlled an arsenal of weapons, it could malfunction and use those weapons against its creators. Utopia is the literary artform of the possible, in the same way UX might be considered the design methodology of it. So let’s consider design thinking and UX in that utopian vein. Using a wide range of human-centred methodologies to understand and model user behaviors, we are able to create personas, fictionalized characters that capture user archetypes, and design solutions for those imaginary, evidence-based characters. You could argue that UX turns the dystopias of broken customer journeys into customer experience utopias. The output of UX is real world solutions, the discipline of solving real world problems with new ideas. That’s an inherently utopian goal. Unlike popular medieval folk stories and fairytales, Utopia was realistic, a world with a detailed set of rules that governed the lives of the people who lived there. To use a gamer analogy, More was playing Sim City, not Pokémon. 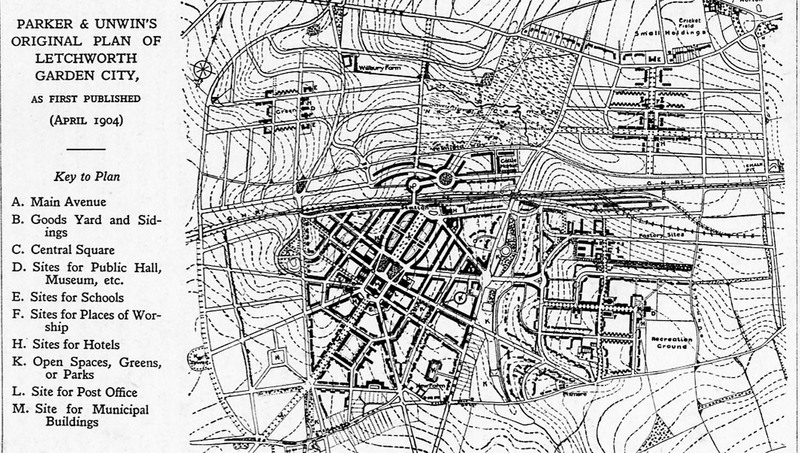 If you need a practical example of the breadth of utopian thought, consider the early days of urban planning in the UK, in the late 19th century. This was a notable example of community leaders making the connection between the urban environment and urban social behavior. Where, previously, the urban working classes were often vilified by social elites as being basically criminal and immoral, philanthropists like Robert Owen and planning pioneers like Ebeneezer Howard (hugely influenced by Edward Bellamy’s 1888 utopian sci-fi novel, ‘Looking Backward’), made a connection between social problems and high density slum conditions. They designed new communities (New Lanark, Letchworth Garden City, Welwyn Garden City) that established many basic planning principles that we recognize today. They incorporated shared open park spaces, moved industrial and commercial buildings into zones, conveniently situated for residential zones located near them. They also incorporated community decision making structures into the management of housing and the development of public amenities, rather than give rich landowners free reign to build cheap slum accommodation and factories in public recreational spaces, as had been the case in most major cities up until that point. The resulting transformation in the urban environment was matched by a transformation in alcohol consumption, crime and street violence. It showed those things weren’t purely a matter of personal morality, or lack of it, they were partially environmental problems. This is similar to the way design thinking considers specific problems in the context of an end-to-end user journey. Our work on designing US hospital experiences, for example, studied how patient choices are often influenced by contextual factors beyond medical treatment. We found how important it was for patients to know their visitors would be well looked after, and how influential online reviews and social media comments were when patients chose specific hospitals and requested specific doctors and surgeons. Studying real customers in real situations is essential to design thinking, it’s why UX and design thinking practices use techniques like ethnography, and the reason we employ anthropologists to model user behavior to inform product and service development. The idea that everyday experiences and environments influence our decision making, the things we use, and the way we use them, is again, a utopian idea. 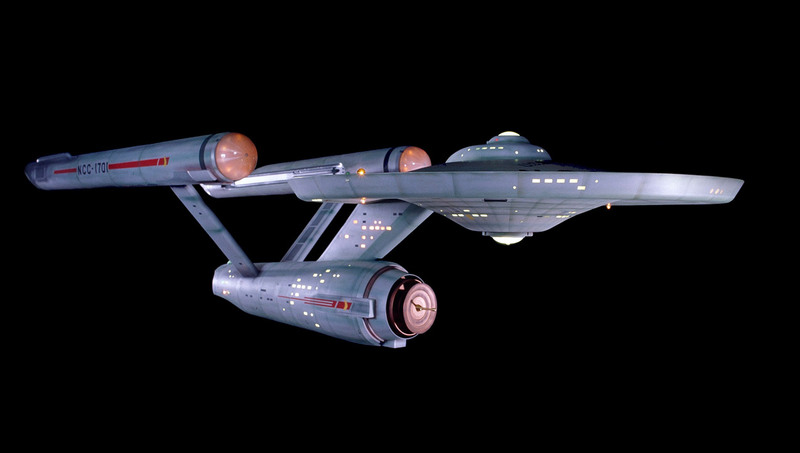 Consider the utopian world of Star Trek, where poverty and crime have been eliminated, and everyone works for the betterment of humankind. This idealized world is made possible through an all-pervasive reliance on computers that know where you are, what you’re doing, guide every decision with data and analytics, where anything can be made just by asking a super-intelligent 3D printing gadget to replicate it. And everyone thinks it’s fine for Captain Kirk to conduct relations between the entire human race and aliens on our behalf, even though he’s not an elected official. Star Trek lacks data privacy and democracy, but nobody seems to mind because tech has made everything work out fine. It’s a tech utopia. The idea that everyday experiences and environments influence our decision making, the things we use, and the way we use them, is again, a utopian idea. More’s Utopia (which, coincidentally, describes cities built in a circular pattern of living quarters attached to a separate rectangular work zone, looking oddly like the Starship Enterprise) is a similar highly advanced technological society, except it’s arguably a dystopia. There is no privacy, because all doors give access to everyone (no locks) and they have an abundance of glass for windows and even walls (high tech for 1516) which makes it impossible to have privacy. There’s no poverty, no private property, no inequality or envy, the Utopians have mastered all technologies and so on. It’s another idealized, high-tech, society. Except, if you break the rules, you get executed. In a way, the difference between a utopia and a dystopia is seeing the glass half full, or half empty, much like current debates over technology. When you compare these two alternative societies, you see the same basic human issues of privacy and personal choice from two very different perspectives, where the pros and cons of life, economics, government, living standards and personal choices are intrinsically bound to technology. In the era of Amazon, Facebook, blockchain, biometrics, online campaigning, mobile devices and big data, these tech issues present big utopian questions for real world service design and product development. Every design thinking practice, UX designer, and customer experience professional, has to consider the upsides and downsides of technology. For example, automated services run on data and, as automation spreads into public life through commerce, healthcare, banking and taxation, increasing amounts of personal data become shared in the public domain. That data can affect credit scores, insurance risks, even career prospects and your access to services. This creates a new degree of ethical complexity affecting solutions we design. In a world where we rely on systems there’s a risk those systems could limit our personal choices, as well as increase them. In a world where AI can anticipate our needs, there’s a risk we will end-up in a cycle where innovation and out-of-the-box thinking is limited by established algorithms. In a world that relies on data-driven systems, there’s the challenge of protecting your data from misuse. There’s also a risk that our reliance on systems might unduly influence our choices, not merely of products, but – as recent news stories have speculated – even who we vote for. These complex issues lie at the heart of utopian writing, as well as Silicon Valley. As fiction reading list books go, utopian and dystopian works (like the original Utopia, and books by authors like Ursula Le Guin and Margaret Atwood, to name but a few) feel relevant today for UX professionals and design thinkers, because all utopias look at the real world and real human behaviors and build solutions like a designer would, with a blank sheet of paper and reimagined processes. And for that reason, if you work in UX it’s worth buying copy of More’s Utopia… or maybe even download it free, because it’s out of copyright in many territories. Which is another utopian lesson, after all, technology always has unintended consequences, especially for copyright owners…right?